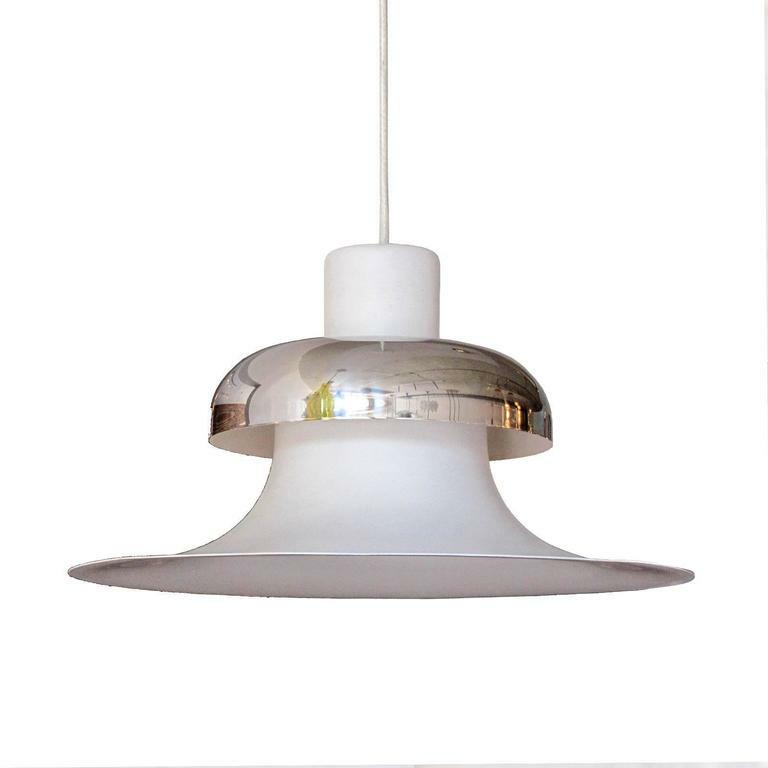 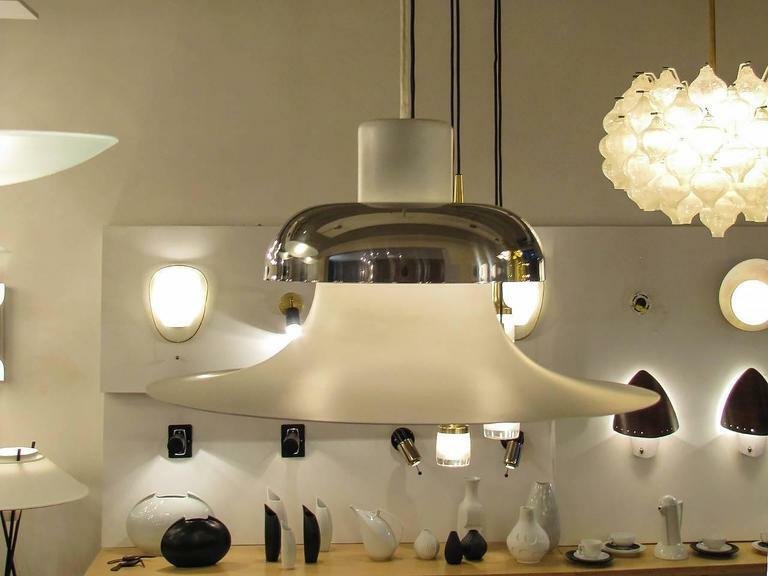 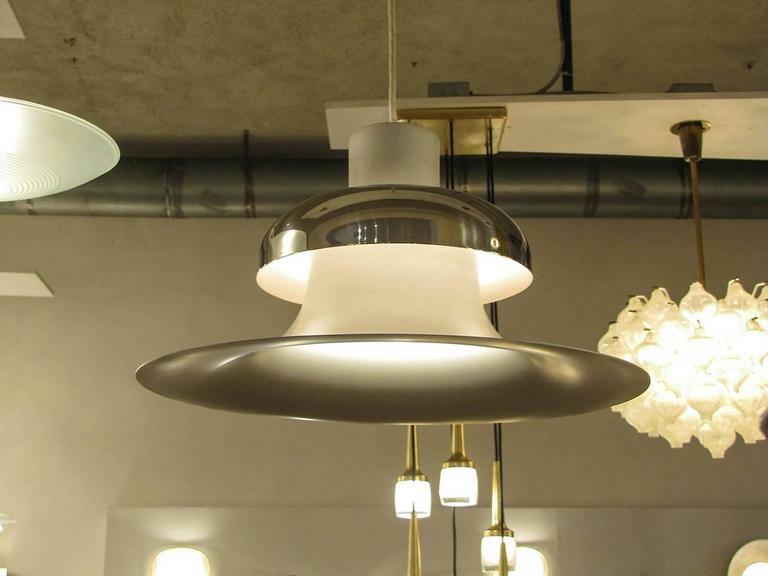 elegant "Mandalay" hanging lamp by Andreas Hansen for Louis Poulsen, in addition to the direct down light this pendant allow for a clever indirect light effect, white textile cord is adjustable in height (currently 36"). 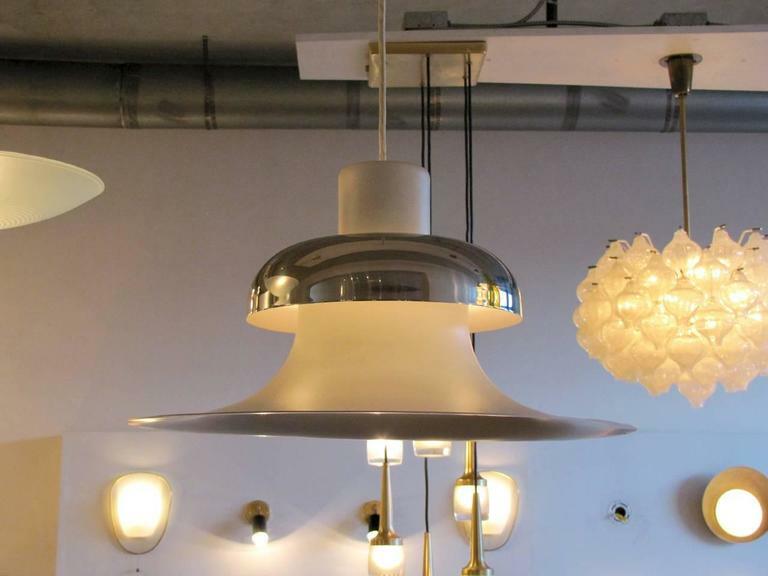 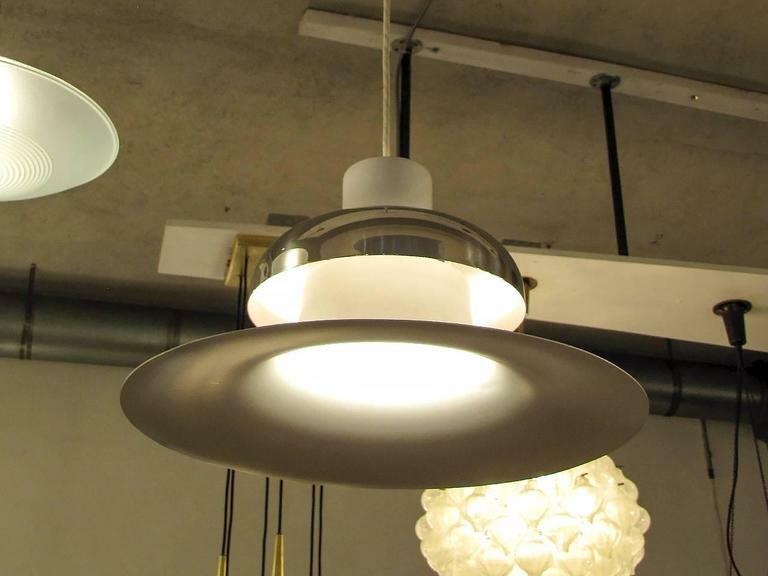 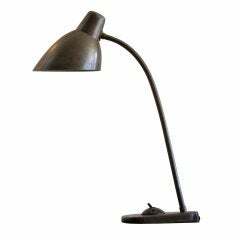 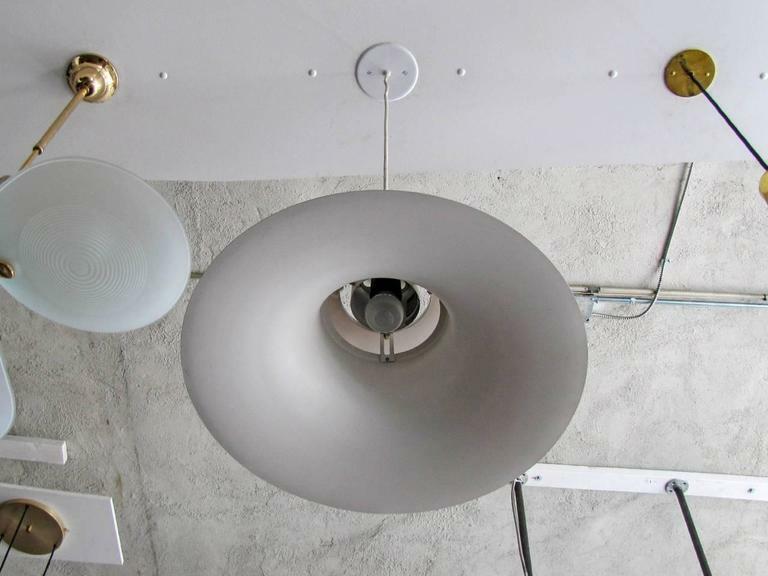 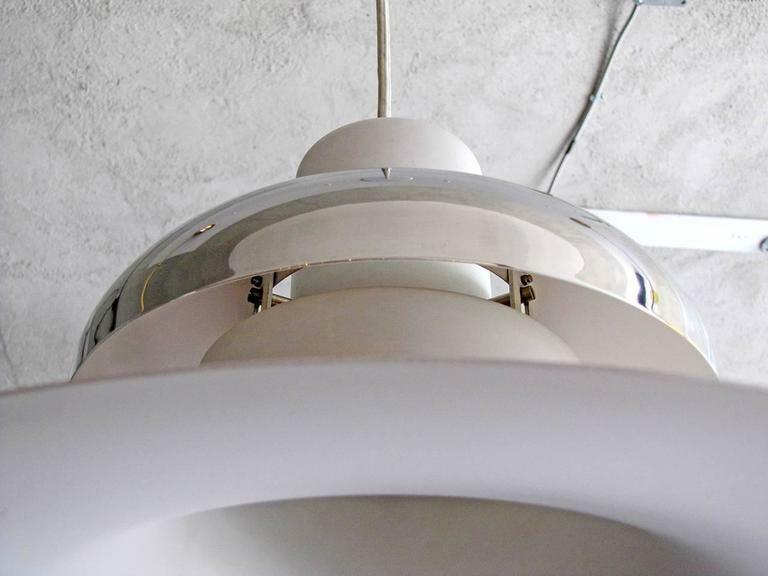 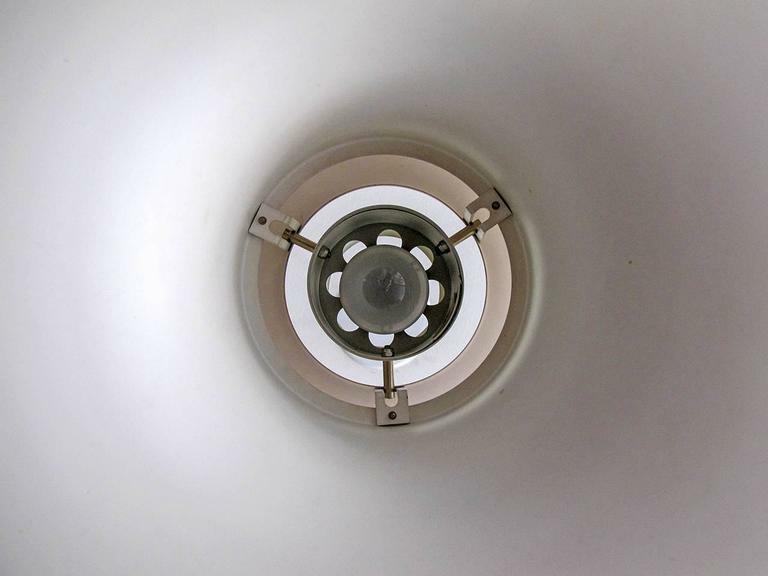 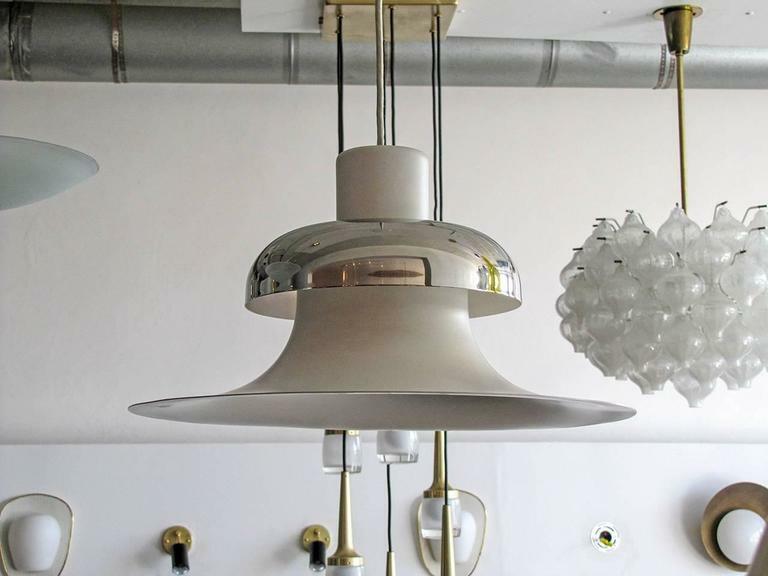 Outstanding PH-2 pendant light by Poul Henningsen for Louis Poulsen, opal glass on bakelite socket, signed or stamped at socket, patented PH-2. 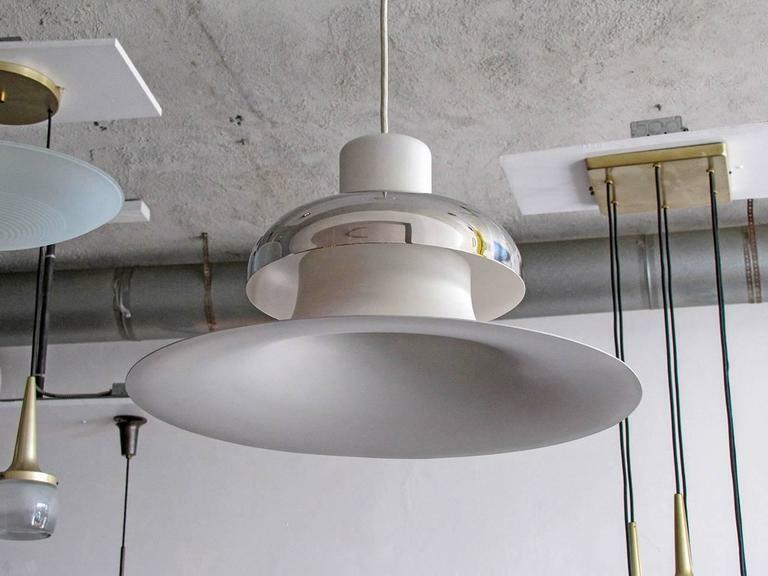 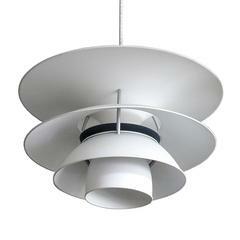 Original and iconic, Poul Henningsen for Louis Poulsen PH5 pendant light in matte white, spun aluminum with blue and red interior accents.